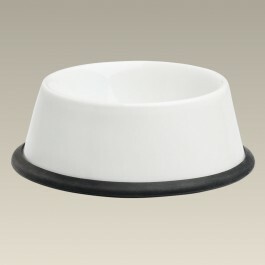 Dog Bowl with Bottom Gasket, 6.75"
This wide bottom 6.75" porcelain cat (or small dog) food bowl is perfect for feeding Fluffy her dinner or holding water. The shape makes the bowl extra stable and the black gasket will keep the bowl from moving across the floor. The bowl is 2.5" high. Microwavable and dishwasher safe once gasket is removed. Made in China. 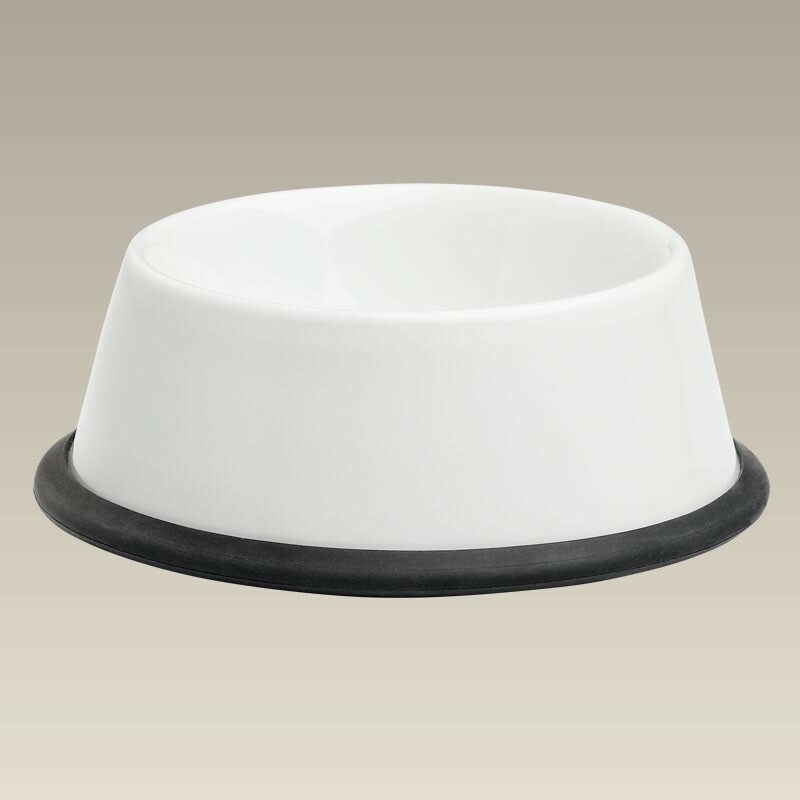 Wide Bottom Dog Bowl, 7.5"
Wide Bottom Cat Bowl, 6.375"